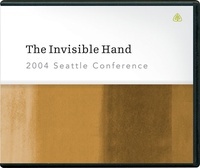 In this series of lectures from Ligonier Ministries’ 2004 conference in Seattle, Washington, Drs. R.C. Sproul and Derek Thomas discuss the biblical doctrine of God’s providence. With pastoral insight and a deep concern for scriptural fidelity, they remind us that God is in control of all things - good or bad - and call us to trust in Him no matter what the circumstance.